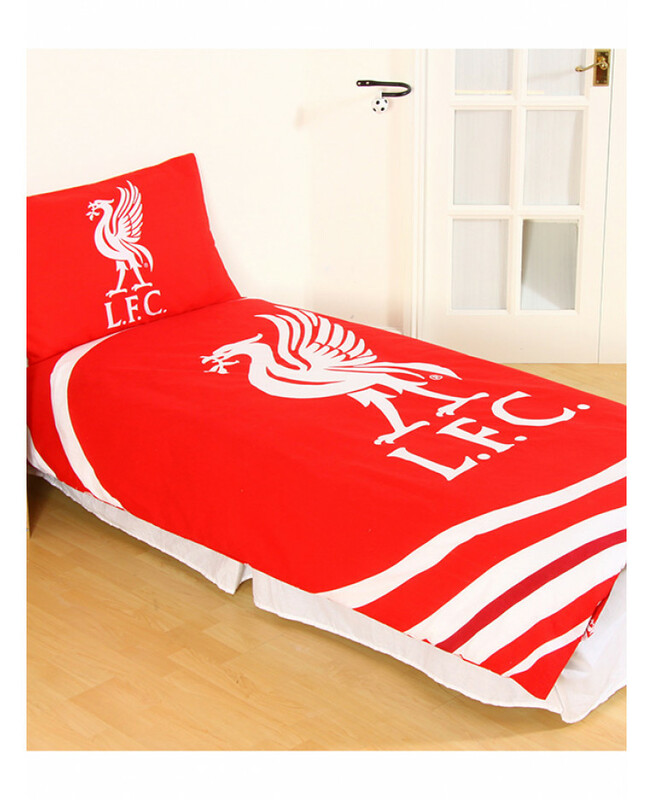 This Liverpool FC Pulse single duvet cover is the perfect bedding set for Reds fans of all ages. 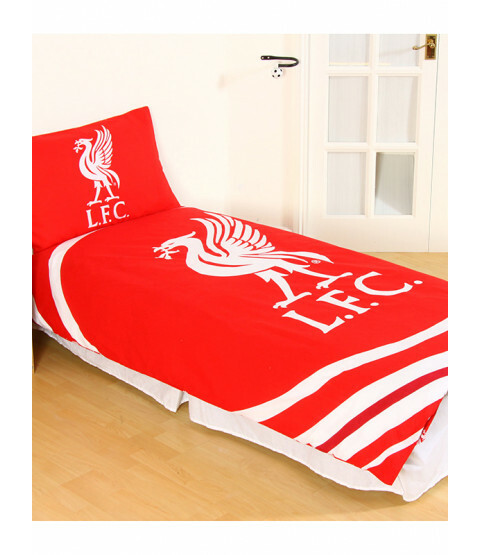 The design features the club crest in the centre of the duvet cover, set on a red background with a curved white stripe pattern around the top and bottom, while the reverse has a repeated pattern of the club crest on a red background. 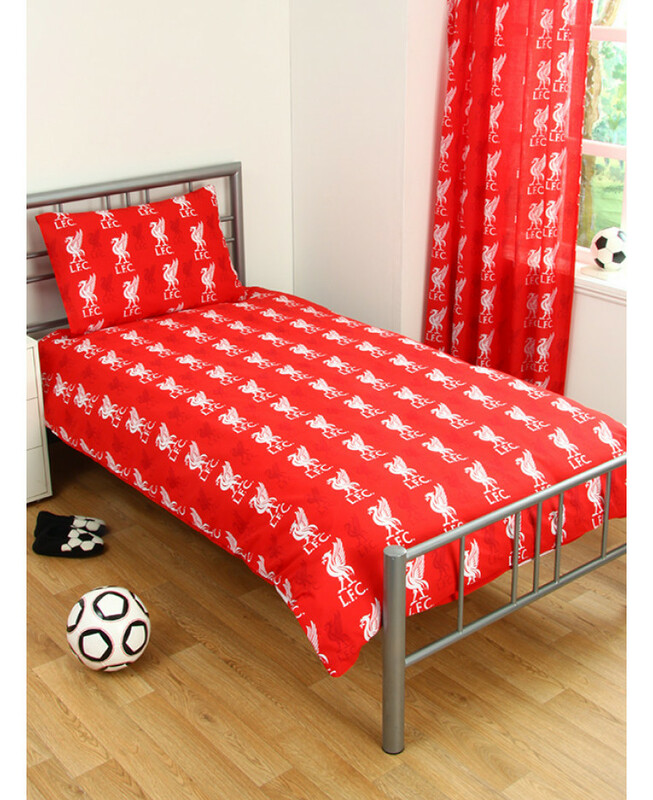 Made from a polycotton blend, the set can be machine washed and tumbled dried on a low setting.